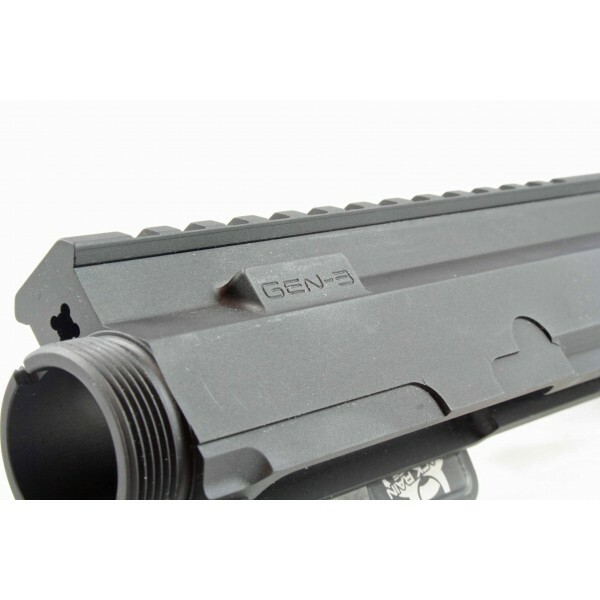 Black Rain FALLOUT15 Generation 3 billet upper AR15 receiver with forward assist. Black Rain Ordnance CNC machined Fallout15 (AR15) upper receiver with forward assist and optional "Let it Rain" dust cover -- Generation 3. Charging handle nor dust cover are NOT included as a standard option. 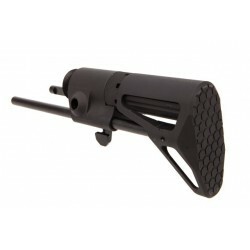 If you want the Black Rain charging handle (tactical latch included) be sure to select that option from the drop down. • 100% CNC machined from a solid block of 7075 T6 billet aircraft grade aluminum. 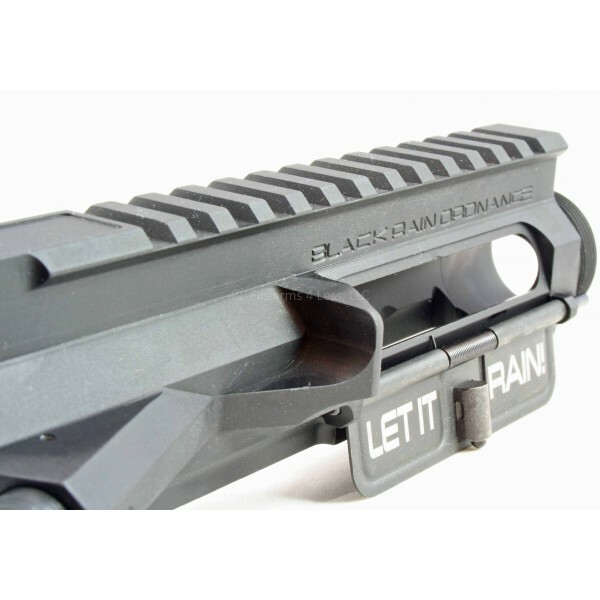 BLACK RAIN ORDNANCE, INC. uses only the highest quality of standards, craftsmanship, and inspection phases to produce a totally awesome and custom milled lower receiver. 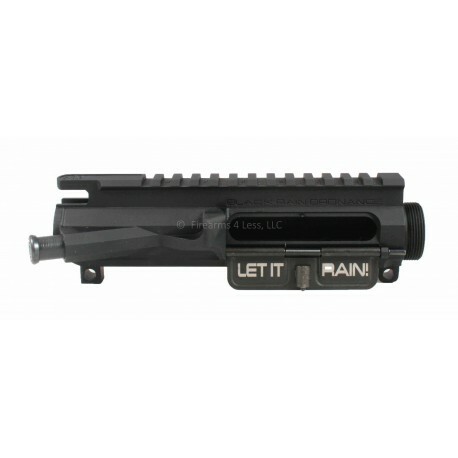 This upper receiver features “blacked out” T marks as well as M4 feed ramps also of course using a mil-spec basic design to fit and function with any other manufacturers parts and accessories. 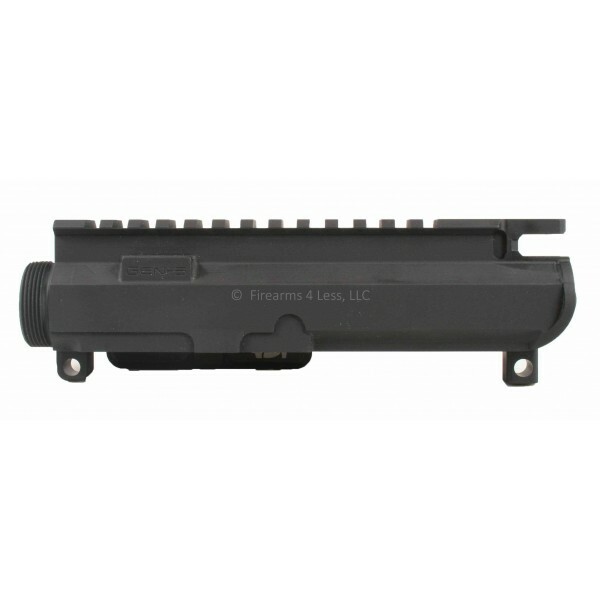 Made with a tough appearance as well as a tough finish BLACK RAIN ORDNANCE, INC. ® uses hard coat grade III black anodizing with a Teflon coated finish. Finally some Black Rain billet uppers in stock somewhere! Got mine ordered today and can't wait to assemble it.